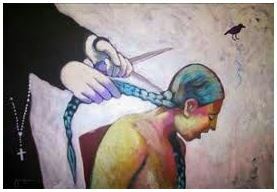 The examples most commonly associated with Historical Trauma include, Slavery, the Holocaust, and the systematic annihilation of the way of life for American Indians and Alaska Natives during and after European colonization. Historical Trauma is perhaps best defined by Dr. Maria Yellow Horse Brave Heart as the “cumulative emotional and psychological wounding over the lifespan and across generations, which emanates from massive group trauma.” The impacts of Historical Trauma are inter-generational and can include; the attachment relationship with caregivers; the impact on parenting and family functioning; the association with parental physical and mental illness, and the disconnection and alienation from extended family, culture and society. Join Host Prentiss Pemberton and His guest, Kyle Wark, from The First Alaskans Institute, for a discussion on the causes, consequences, and treatment of Historical Trauma.